Canadian Poultry magazine's Ask the Vet Q&As have built a strong following in print. Now we¹re continuing these important conversations online. 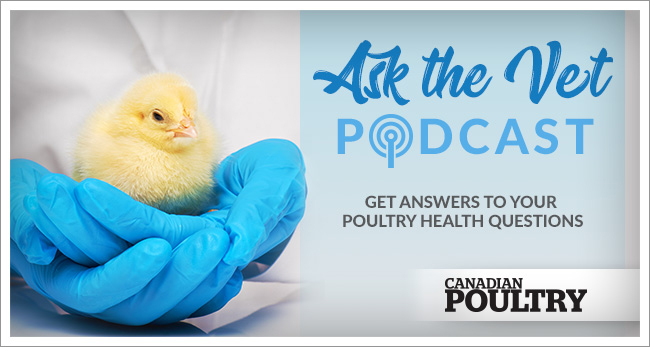 In this new podcast series, you can listen to experts answer your poultryhealth queries. Why is Salmonella such an important topic for the poultry industry and what can producers due to prevent it? Tom Inglis, CEO of Poultry Health Services, discuses this issue in our first Ask the Vet podcast.